Professor Ghafur obtained his LL.B. and LL.M. in International Law from the University of Yangon, Myanmar, and his Ph.D in Law from the. He started his teaching career at the Department of Law, University of Yangon in 1972. He founded the Department of Law at the University of Mandalay in 1988 and in 1992 he returned to his alma mater, the University of Yangon. 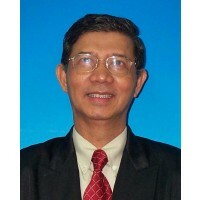 Again in 1994, he founded the Department of Law of the University of Dagon and worked there as an associate professor and the Head of the Department of Law until 1997 when he migrated to Malaysia. He is currently a Professor of Law and ... show more Coordinator of International Law and Maritime Affairs (ILMA) Research Unit of the IIUM. He is an expert in International Law of the Sea, Maritime Law and International Trade Law and has special research interests in carriage of goods by sea, Private International Law, Law Of International Institutions, and International Human Rights and Humanitarian Law. He has completed a research project on a? ?Reforming Laws Relating to the Protection of Marine Environment in Malaysiaa? ?, granted by the Law Reform Committee of the Prime Ministera? ?s Department of Malaysia. His on-going research project is entitled: a? ?Formulating a Legal Framework for sustaining Maritime Security in Malaysiaa? ?, a Fundamental Research Grant (FRGS) funded by the Ministry of Education, Malaysia. With his more than 40 years of teaching and research experience, he has authored or edited 17 books and published numerous articles in international and refereed journals. Professor Ghafur is a life member of the Maritime Institute of Malaysia (MIMA), a member of the Asian Society of International Law, an editorial board member of the Journal of East Asia and International Law and the editor of the IIUM Law Journal. 19 Februari 2013 Silver Medal Award in the 2013 Research, Invention and Innovation Exhibition (IRIIE 2013). IIUM - University level. 08 Disember 2011 Best Library Partner Award, 2011 . IIUM Library - University level. 11 Julai 2006 Quality Award. (b)	Quality Researcher Award, International Islamic University Malaysia - University level. 11 Julai 2005 Quality Award. (a)	Best Teacher Award, International Islamic University Malaysia - University level. 2016 Relevant international law relating to treaties. In: Drafting of International Instruments: All You Need to Know. 2011 The principle of distinction and the protection of civilians. In: International Humanitarian Conference: "Protecting Civilians in Time of Armed Conflicts: The Shari'ah and International Humanitarian Law Perspectives"
2010 Main causes of civilian harm in non-international armed conflicts. In: Regional Workshop on "Protection of Civilians under International Humanitarian Law"
2010 Rotterdam Rules or Hybrid: the likelihood for harmonization. In: MIMA Seminar on "The UNCITRAL Convention on Contracts for the International Carriage of Goods Wholly or Partly by Sea (Rotterdam Rules) and Its Implication to Malaysian Shippers, Carriers and Consignees"
2007 Balancing the rights of the coastal state in its exclusive economic zone and freedom of navigation of other states: an analysis of the practice of Asian countries. In: The 4th Asian Law Institute (ASLI) Conference "Voice from asia for a just and equitable world"